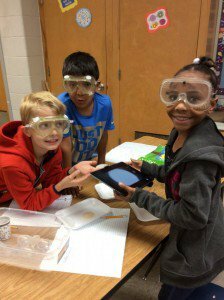 The Big Shanty STEM Lab opened last year. Every student in our school visits the STEM Lab as part of the specials rotation. 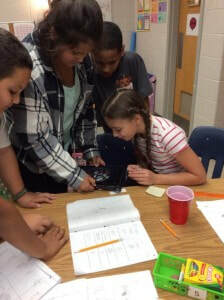 We learn how to use technology, how to complete the engineering design process, and teamwork. 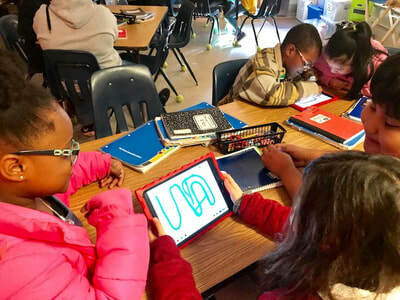 Collaboration is a big part of STEM, just as it is in the work force. 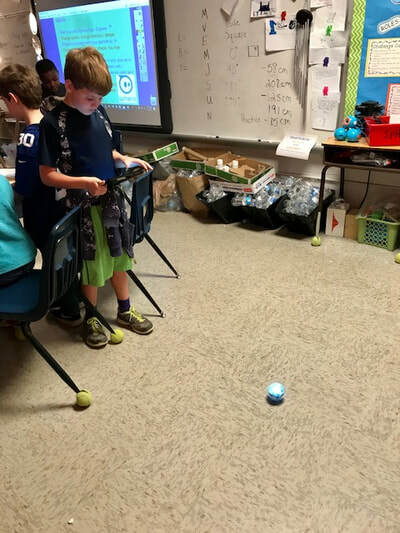 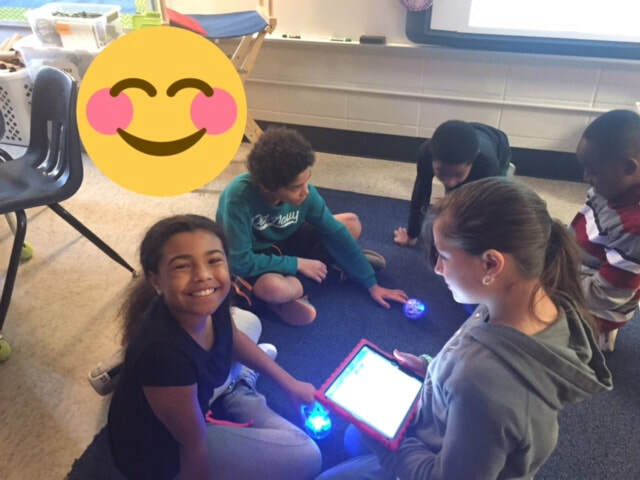 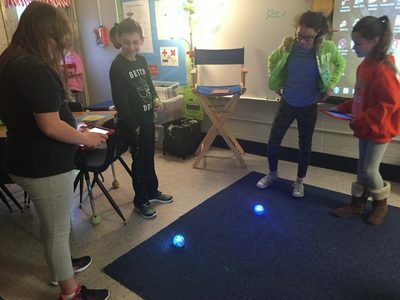 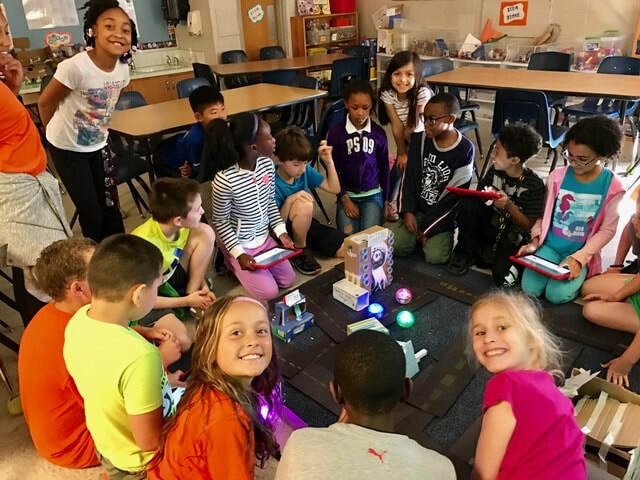 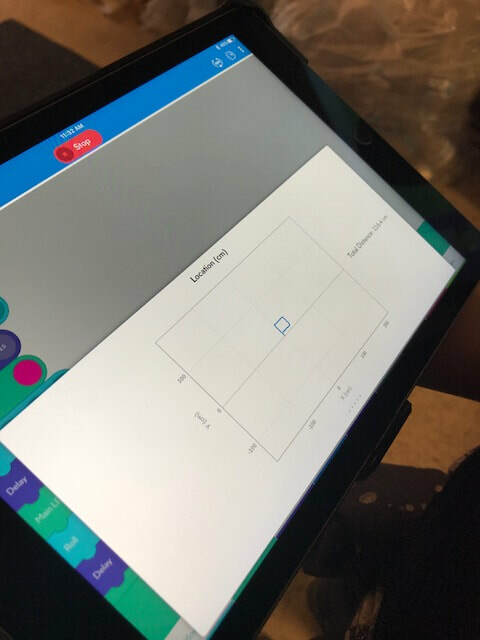 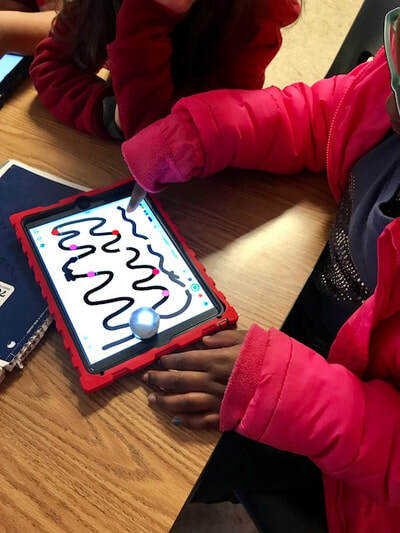 All of our students have learned how to operate and program Sphero robots through block coding. They have also learned to use Ozobot robots through color coding. Coding is a valuable job skill (and fun). 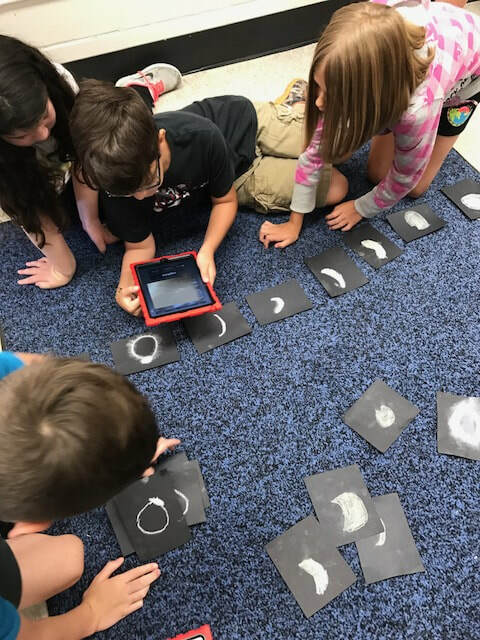 The entire school has explored different apps including iMotion and Chatterpix. 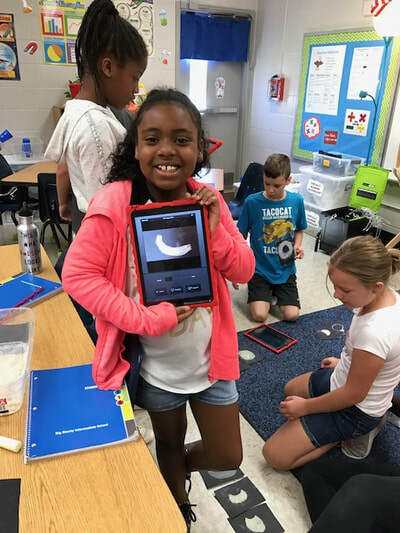 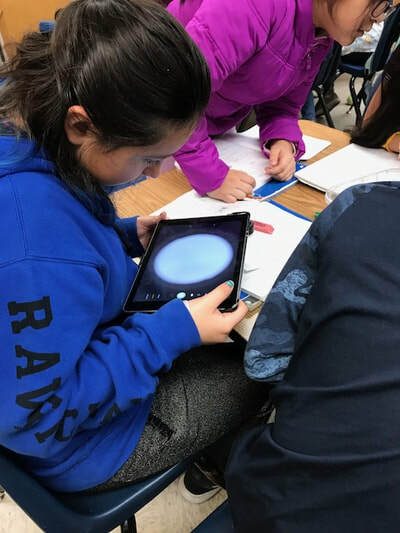 We modeled the recent solar eclipse with stop-motion photography in iMotion and learned how to create presentations on Chatterpix. 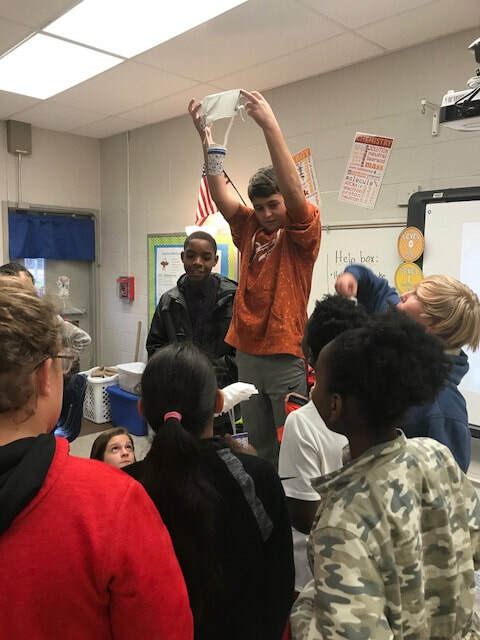 Students presented finished products to the class, as they do most projects in the STEM Lab. 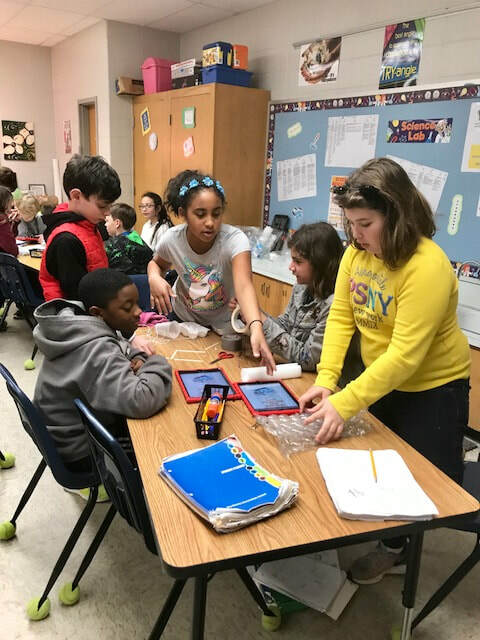 The STEM Lab is a busy place! 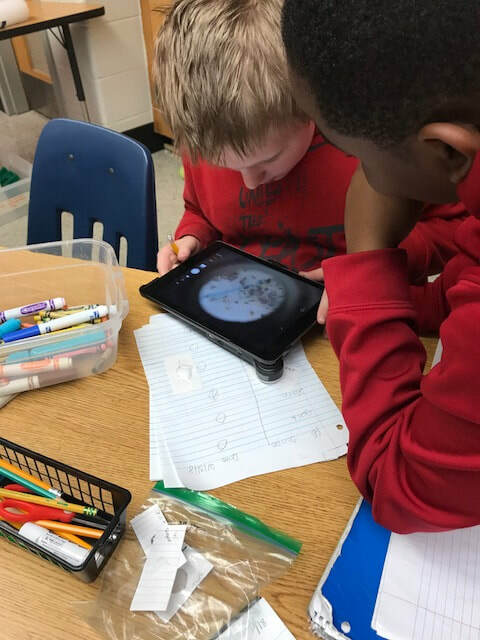 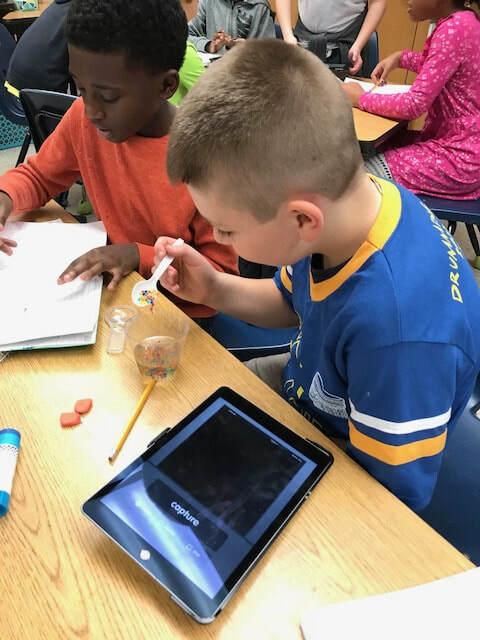 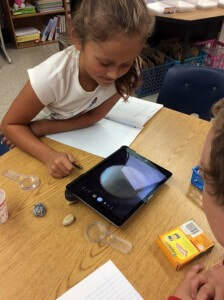 Third grade has also explored rocks and soils, including using a ProScope microscope that attaches to an iPad. 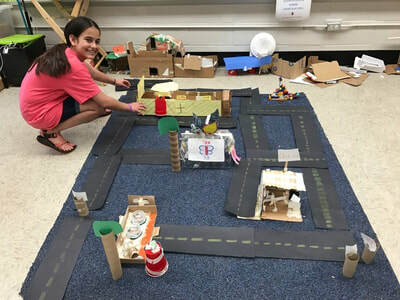 They will soon be designing and building Sphero City using the engineering process. 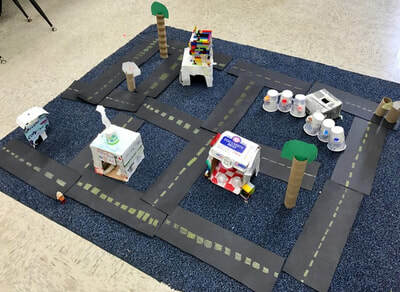 This creates the perfect place to practice coding and measurement skills. 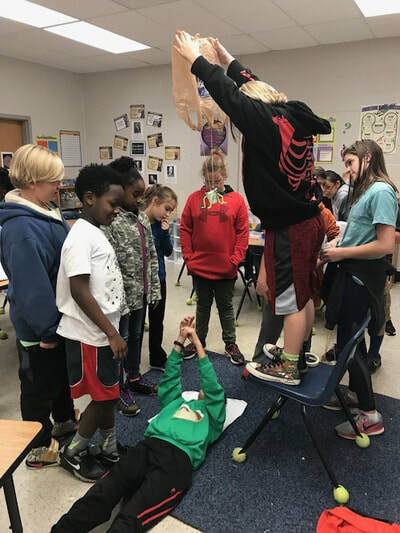 This is a STEM Lab tradition now! 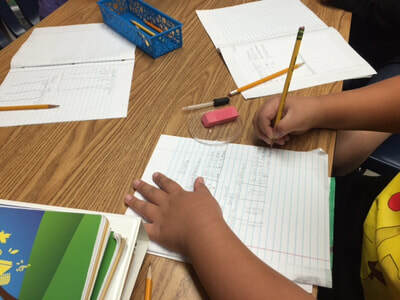 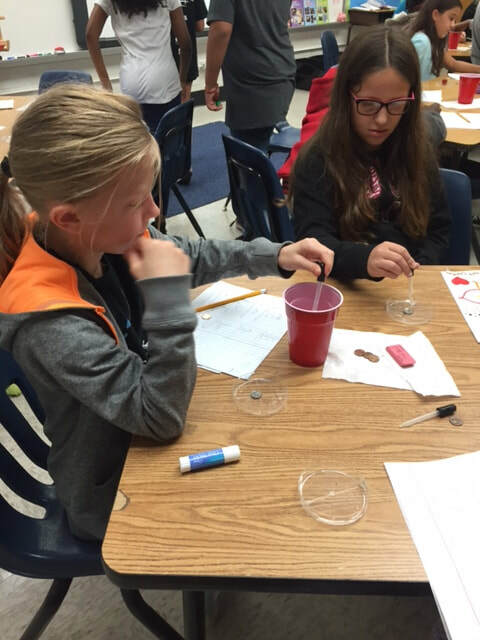 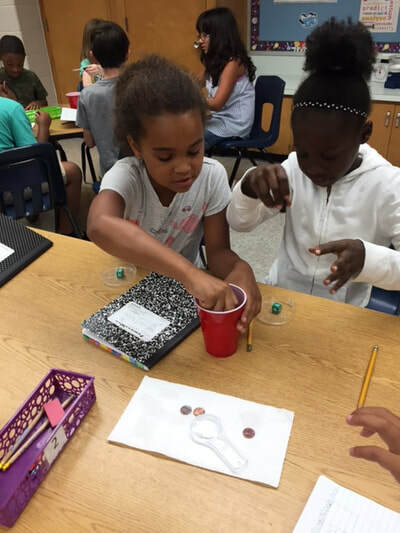 Fourth grade studies the water cycle as part of the science curriculum. 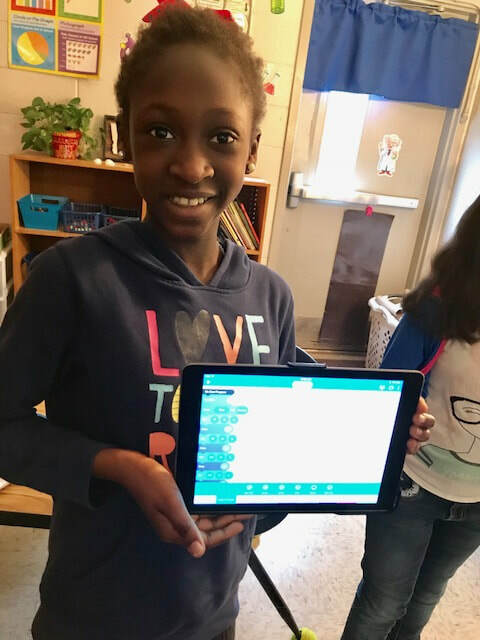 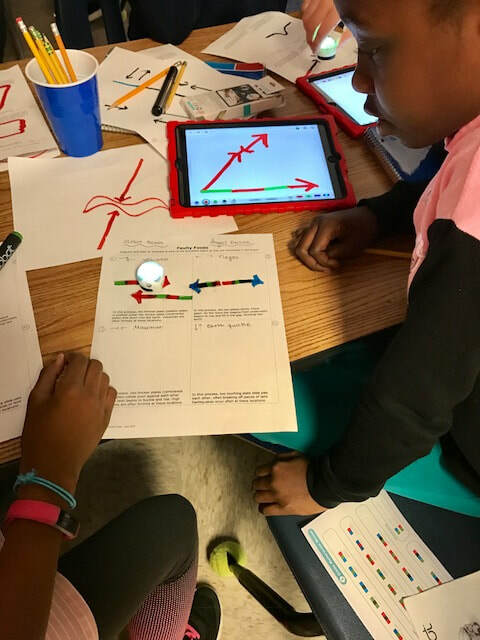 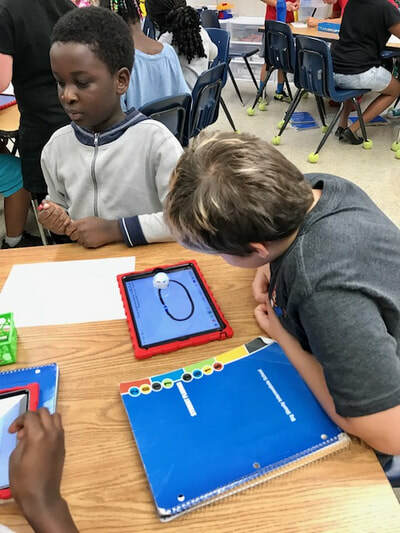 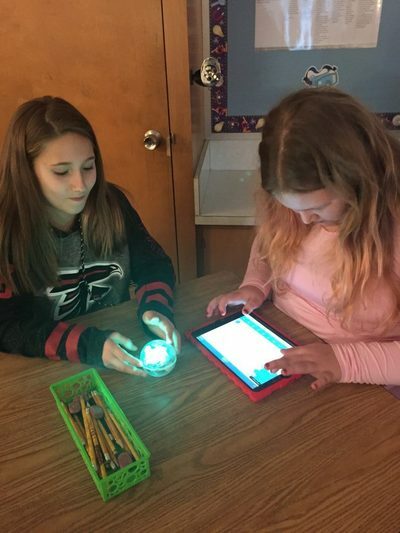 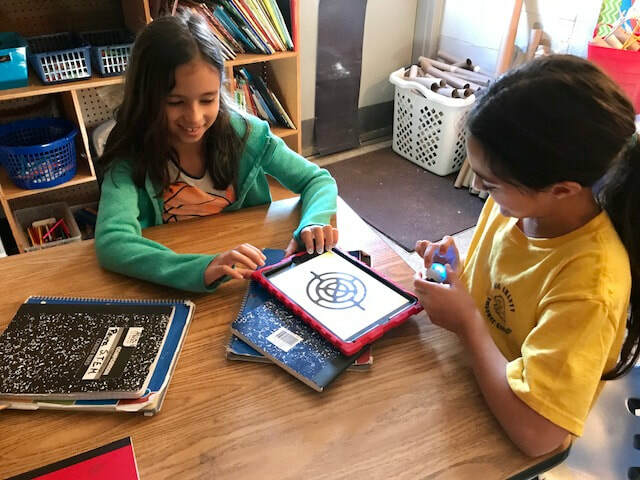 They created water cycle posters with a partner and coded Spheros to demonstrate the cycle by traveling through it. This included programming sound effects, spoken descriptions, and color changes! 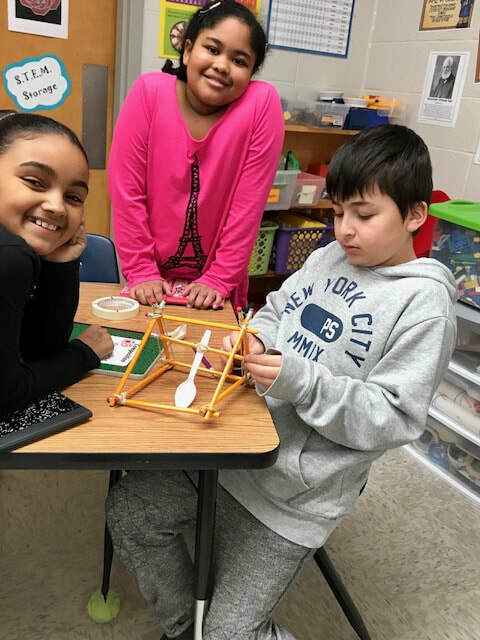 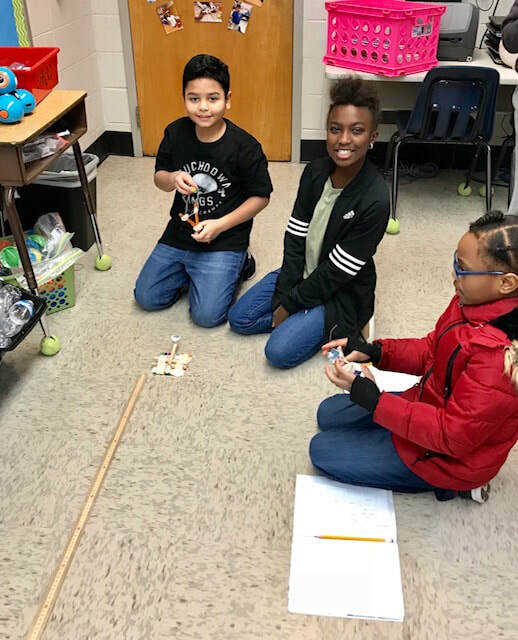 A big, fun project for 4th grade is the Catapult Challenge as part of the simple machine curriculum (levers). This culminates with recording measurement data and competing to see which team can launch their payload (a pom-pom) the furthest! 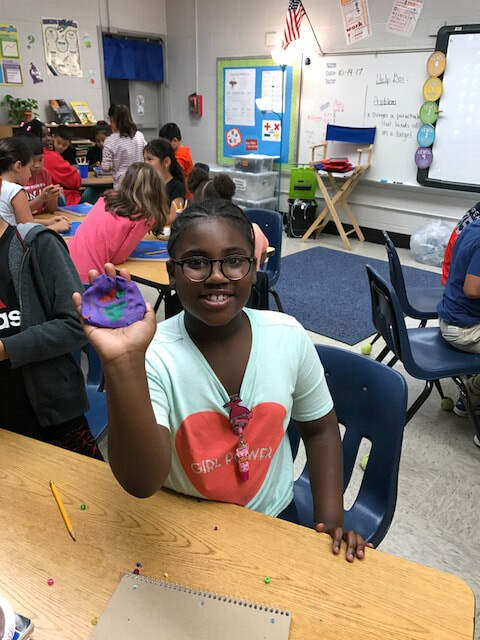 Fifth grade explored landforms and natural disasters with cookies, graham crackers and icing! 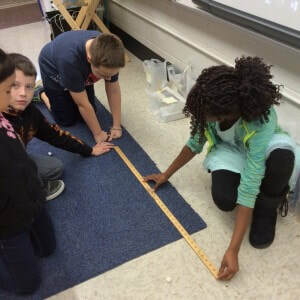 For example, an earthquake is when two of earth’s plates rub together, side by side. We modeled this with graham crackers. 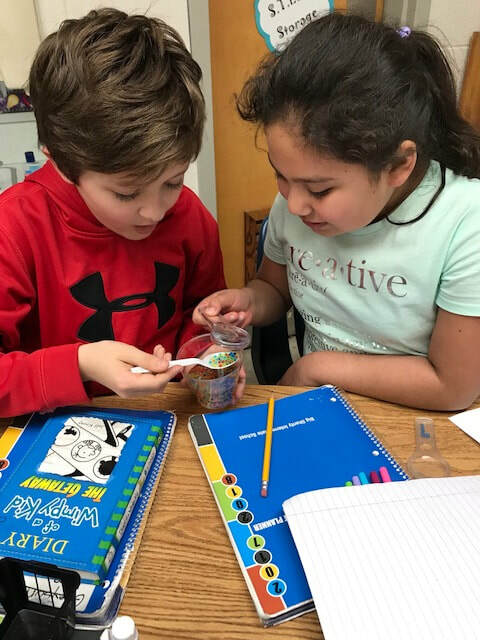 Yummy science! 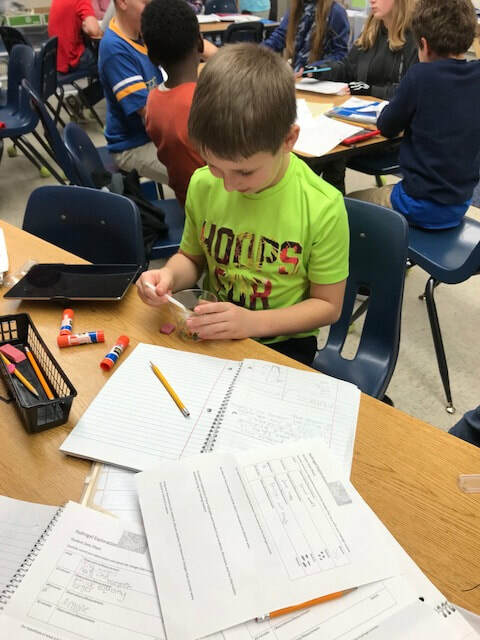 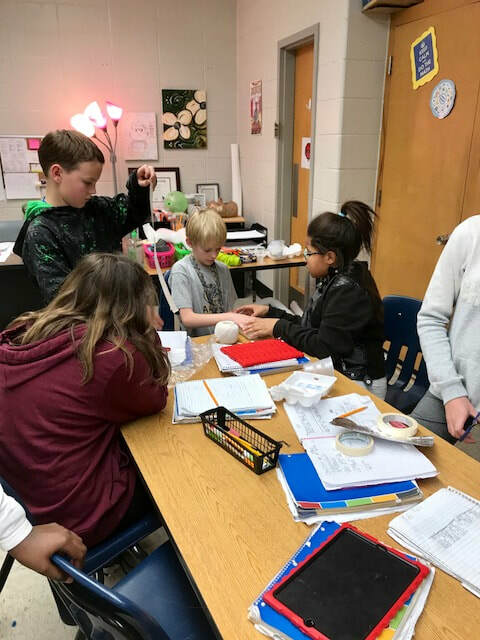 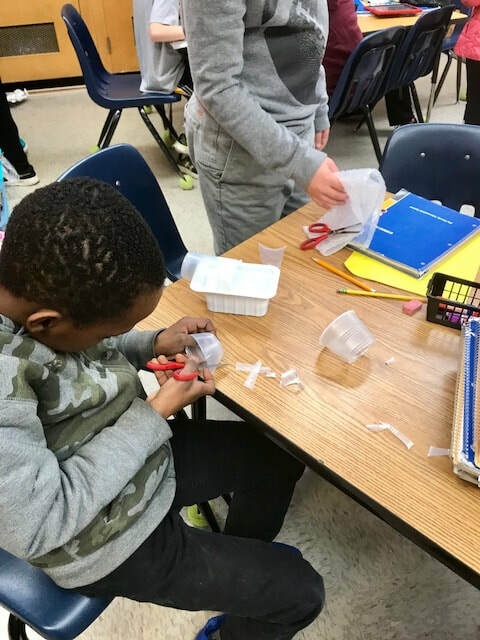 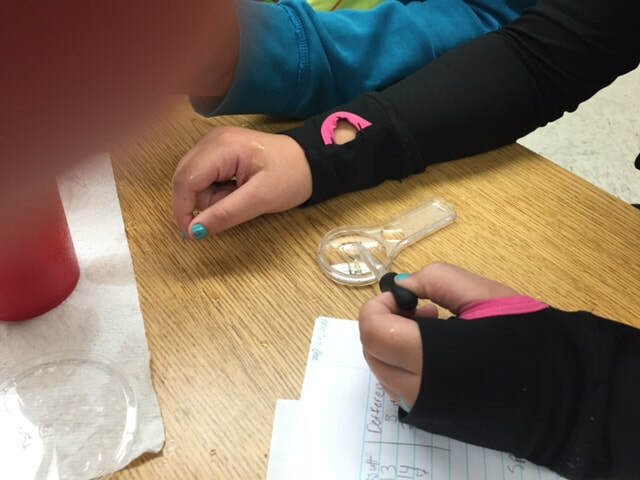 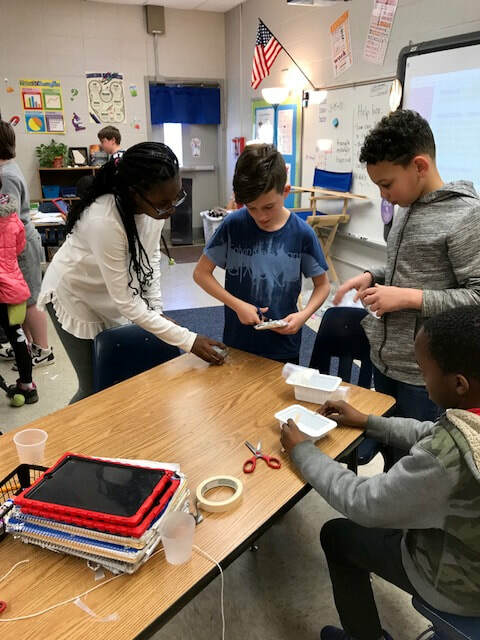 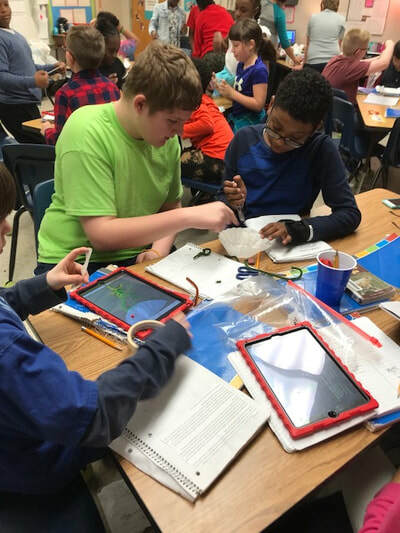 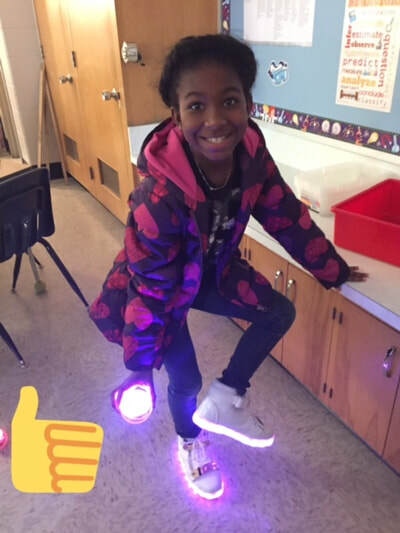 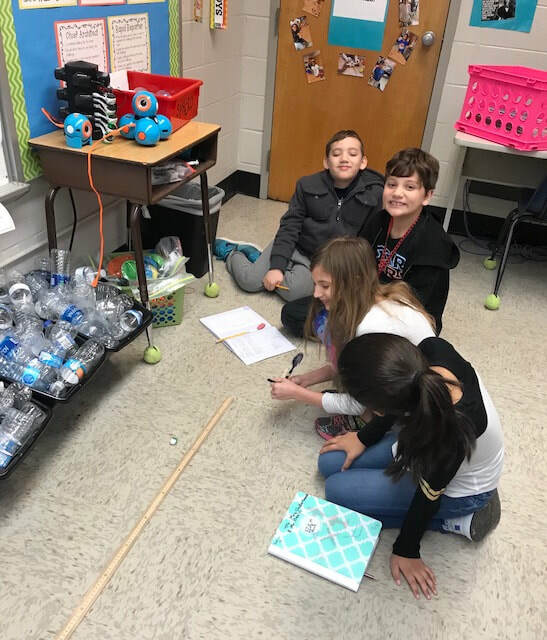 Fifth grade learned about matter with hydrogel beads and is currently building boats powered by Sphero engines!